3 Beds 2 Baths 1,193 Sq. ft. 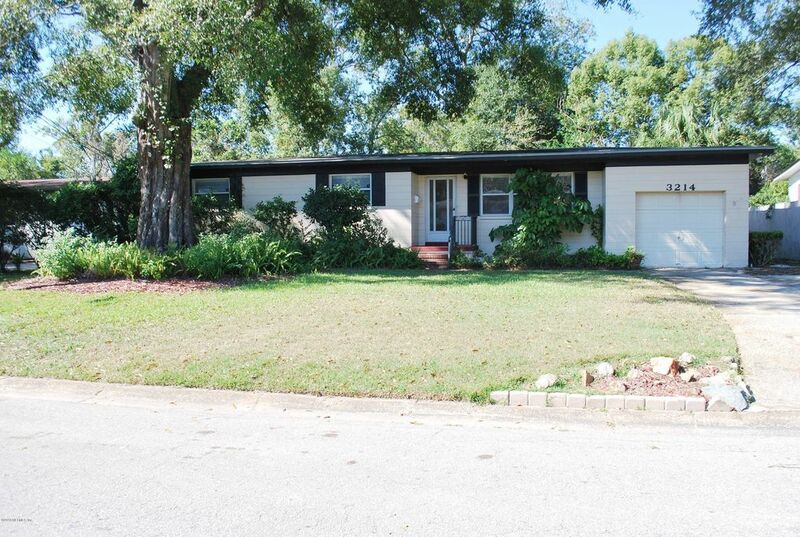 BEAUTIFULLY updated Arlington home that will not last long!! There's a brand new kitchen with stainless steel appliances, granite countertops, breakfast bar and is open to the dining room. The living room is large, with a pretty window overlooking the front yard and showcases the newly refinished, original wood floors. There are three bedrooms all with nice sized closets and brand new carpet. The master bath has a large walk in shower and the hall bathroom is brand new - subway tiled shower, new vanity & has a linen closet. There is a screened back porch, patio and fully fenced rear yard. One car garage with storage space with a separate laundry room. The roof is 2014, a/c system 2016, new electric panel and freshly painted interior. Not a thing to do in this house, but move in and enjoy!! Directions: From Arlington Expressway exit North on University Blvd to a Right on Merrill Rd. Left onto Searchwood Dr to a Right on Regiment Dr. Left on De Carlo Ln, to home on the Left.